Harold Glenn Hamm was born on 11 December 1945, in Lexington, Oklahoma USA, in to a family of poor sharecroppers, but is now known for his involvement in the development of the shale oil industry, becoming one of the modern day oil tycoons. Harold has also been in the spotlight over his rather public divorce proceedings with ex-wife, but his wealth still leaves him in the top 50 richest people in the USA. 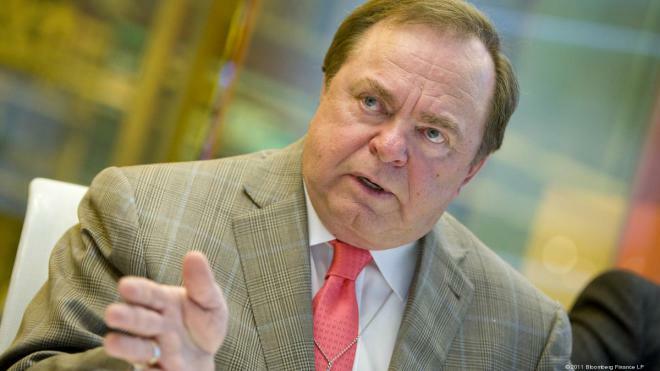 So just how rich is Harold Hamm? Forbes magazine estimates that Harold’s net worth as of 2015 is still over $9 billion, ‘still’ because the drop in the price of oil, and to a lesser extent gas, has wiped some $11 billion off his fortune in just the last 12 months, with his divorce settlement leaving him another $1 billion the poorer. 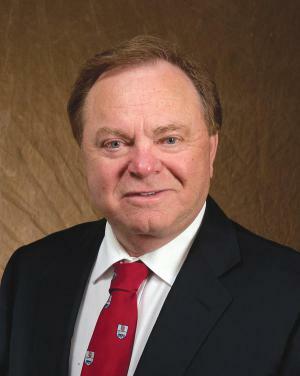 Regardless, Hamm is ranked very highly by Forbes magazine at the top of the list of self-made billionaires, and was included in the magazine under a 2014 article “Harold Hamm: The Billionaire Oilman Fueling America’s Recovery”. Harold is the youngest of 13 children, and did not progress beyond Enid High School in his education, although he was subsequently rewarded with honorary degrees by both the University of Oklahoma and North-western Oklahoma State University. However, he did begin his working life in what might be called the oil industry, that is by pumping gas and changing and repairing tyres and cars. That job didn’t last too long, as he was the founder of Hamm Tank Trucks in 1966 – earning him the not always complimentary title of the worlds richest truck driver – but then he was the founder of the Shelley Dean Oil Company in 1967, which is now Continental Resources. Within a couple of years he had discovered oil reserves in an unexplored area of Oklahoma, which became the Oswego Oakdale Field, and which really built-up his net worth. Hamm continued to successfully explore Oklahoma, but it was the Bakken Field in North Dakota which accelerated his wealth the most. Hamm first drilled in the area in 2004, partly by fracture stimulation of the shale rock – hence ‘fracking’ – effectively causing the rock to split, and then forcing the oil (or gas) to the surface with a mixture of water, chemicals and sand. This one discovery is estimated to have lifted the reserves of oil in the US by around 50%; this significantly increased the value of Continental’s stock after the company was listed in 2007, to the point where Hamm’s shares were worth upwards of $20 billion by 2012, subsequently reduced somewhat by the falling price of oil in 2013-15. All was not bad news, however, as he was industed into the Oklahoma Hall of Fame in 2014. In his personal life, Harold Hamm was married to Judith Ann whom he divorced in 1987, and with whom he had three children. He married lawyer and economist Sue Ann Arall in 1988, with whom he has two daughters. Sue Ann held executive roles in Continental, so that when they separated in 2005, and divorce proceedings began in 2012, Sue Ann demanded half of Harold’s wealth. However, in 2014 a judge ordered Hamm to pay over $1 billion, based on Harold’s reduced wealth, $320 million immediately and the rest by installments of about $7 million a month. In settlement, Sue Ann has now apparently accepted $1 billion, one of the largest amounts ever in such a case. Harold Hamm is also a philanthropist though, in particular setting-up the Harold and Sue Ann Hamm Diabetes Center at the University of Oklahoma, as Harold suffers from Type 2 diabetes, with an initial donation of $10 million. He is also a strong supporter of the Republican party.